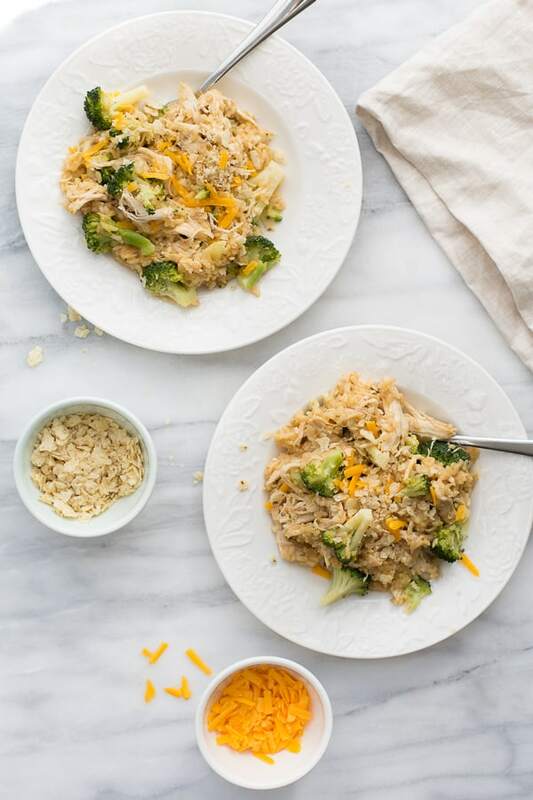 Instant Pot Chicken Broccoli and Cheddar Rice! 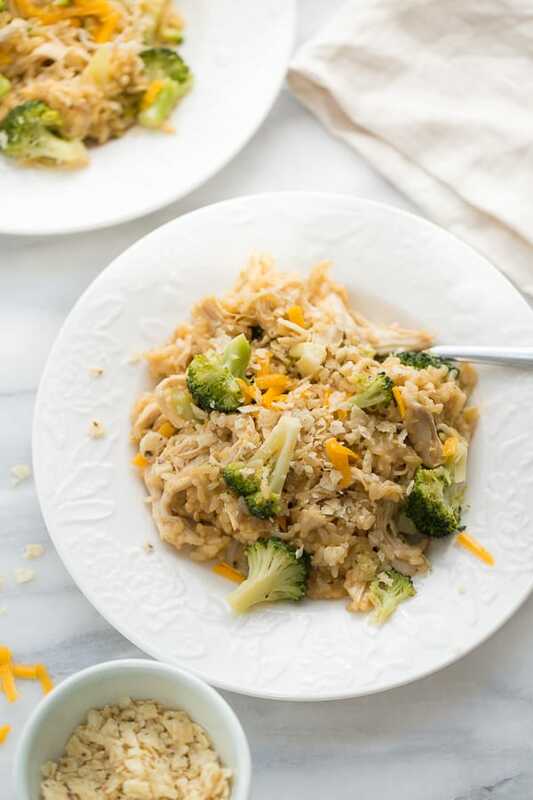 Tastes like a delicious chicken, broccoli and rice casserole – but in half the time! 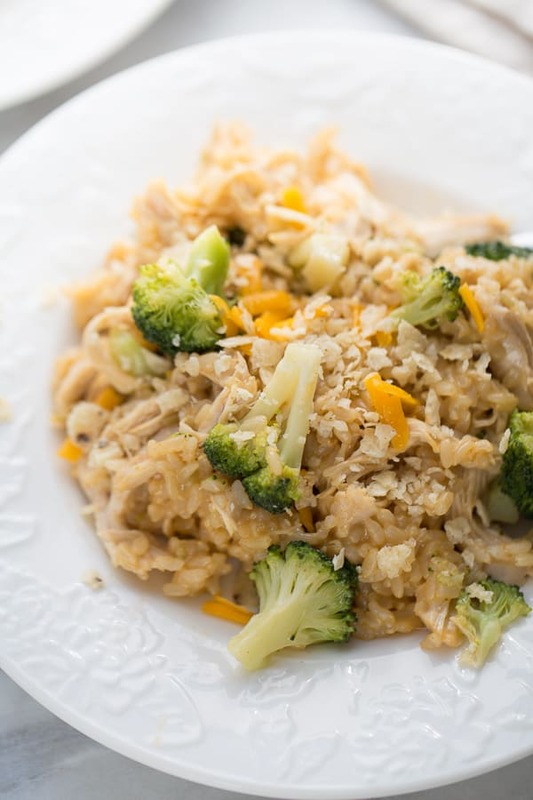 A few months ago my husband and I got on an instant pot kick that started because we fell in love with this recipe for Instant Pot Southwestern Chicken and Rice. It is such an easy, tasty, all-in-one dinner that we make at least twice a month. For awhile I’ve been wanting to try a chicken, broccoli and cheddar version. This one is just as delicious and definitely doesn’t disappoint! My latest instant pot discovery is that you can perfectly cook broccoli in 0 minutes at high pressure. I like to use this steamer basket that fits nicely inside my instant pot. The broccoli cooks while the instant pot comes up to pressure – then you quick release the pressure and it’s done. At first I tried this recipe cooking the broccoli with the brown rice and chicken but it turned to mush. Because the brown rice needs a long cook time I leave the chicken breasts whole and nestle them down into the liquid for cooking. The chicken turns moist and easy-to-shred while the rice gets all the way done. No crunchy rice in sight! Chicken breast can definitely cook faster on it’s own – but the brown rice needs the full 22 minutes. I like to fold in a little sour cream and sharp cheddar cheese into the rice when it’s done cooking. I also like to top everything with a crushed tortilla chip/butter topping. 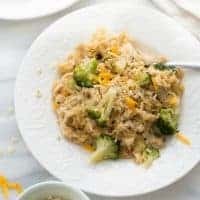 It makes a naturally gluten-free topping and the end result tastes like a delicious chicken, broccoli and rice casserole – but in half the time! 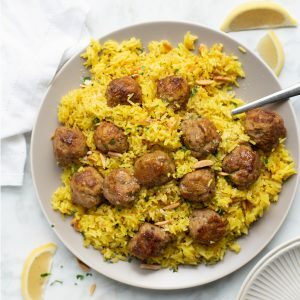 You are going to love this delicious and easy dinner! Place a steamer basket in the bottom of the instant pot. (This also works with no steamer basket.) Add 1 cup of water and place the broccoli florets in the steamer basket. Secure the lid and cook on high pressure for 0 minutes (select Manual or High pressure and then dial down to 0; the IP will start on it’s own and the broccoli will cook perfectly as it pressurizes). Immediately release the pressure and set the broccoli aside. Pour out the remaining water. Place the brown rice, onion powder, garlic powder, paprika, salt, soy sauce and chicken stock in the instant pot. Stir to combine. Nestle the chicken breasts (leave them whole so they won't get dry during cooking) down in the rice/liquid mixture. Secure the lid and cook on high pressure for 22 minutes (make sure the valve is set to sealing then select Manual and then dial up to 22). Meanwhile crushed the tortilla chips and mix with a tablespoon or so of melted butter for the topping. Let the pressure naturally release for 10 minutes and then quick release the rest of the pressure. Remove the chicken breasts and shred into bite-sized pieces. Fluff the rice with a fork and mix in the sour cream, cheddar cheese and hot sauce. Gently stir in the chicken and broccoli. Serve topped with the crushed tortilla chips. Enjoy! 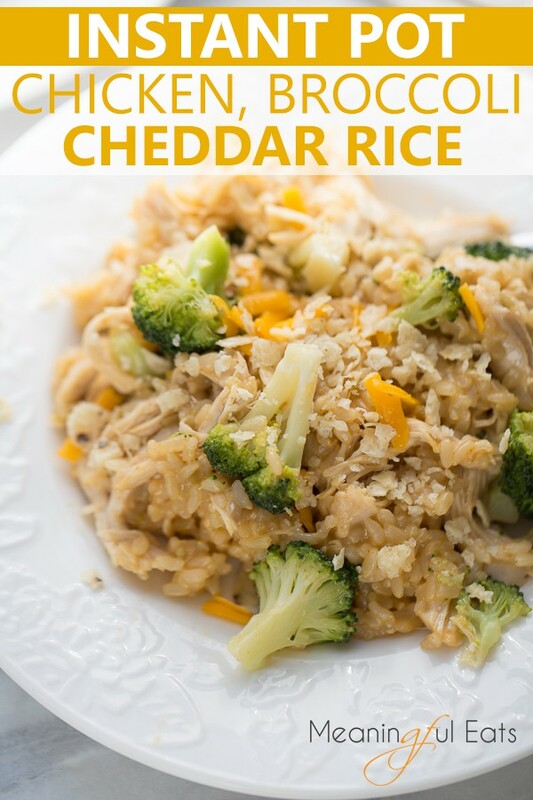 I've tried this recipe with long grain brown rice and it works great, but I really love/prefer using my favorite Sprouted Brown Rice in this recipe. (Not sponsored, I just love this rice!) The broccoli cooks perfectly using this steamer basket. WITH FROZEN CHICKEN: This works great with frozen chicken. Just keep the cook time the same. The long cook time is to ensure the rice cooks through so frozen or fresh chicken will work. It may take a few extra minutes for the pressure to come up, but the recipe will turn out great. Do not use more than 1lb of frozen chicken. All I have is an ancient grain mix. It’s rice, bulgur, barley, wheat berries, red rice, oats and quinoa. Can I use this? I did try it with these grains and it turned out!! I usually like my rice a little less mushy, but it was still very good! If I have left over ham, can I used that instead of the chicken? If so, how would I adjust the cooking time? You still need to cook the rice for at least 22 minutes if using brown rice. You could stir in the cooked ham at the very end with the broccoli! This is another one of your recipes that looks just great. I can’t wait to try. I see that your recipe calls for soy sauce. For soy sauce I typically use coconut aminos. Do you think that will work here? That will work great! It’s just for a little extra flavor! I’ve made this several times and we always love it. Thanks for a great recipe. I had a LOT of leftover liquid, when using my frozen chicken. The rice was cooked through, but even after resting for a bit, I had about 1 1/2 cups of liquid left over. I dumped the rice/chicken through a strainer and all was right with the world again and then back into the pot to mix in the rest of the ingredients. turned out tasty, but not sure how I wound up with so much extra. Maybe my brown rice type. Willing to guess your pot wasn’t sealed. You’re only adding 2c on top of what is naturally in the chicken and there shouldn’t be much left with rice. Check your seal. 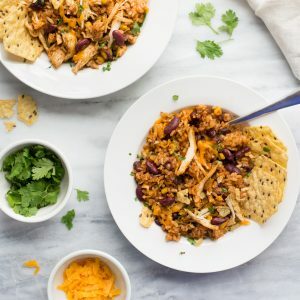 I am obsessed with instant pot meals and this one is a great, comfort meal made in no time. We make this one over and over again. Anyone know a way to adjust this using cauliflower rice? Thanks! How would you cook the broccoli if you don’t have a steamer basket? I LOVE this recipe! We’ve made it three or four times in the past couple of weeks. I do kind of customize it by adding some smoked paprika, cayenne, crushed red pepper, and more garlic. I also like to add in parmesan or some other hard Italian cheese for some extra flavor. It’s also good with some baby spinach! If I use white rice do you know how much time I’d take off? 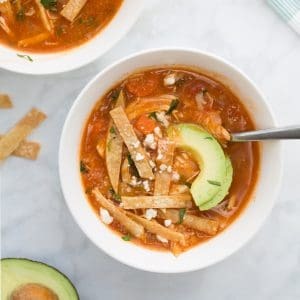 Absolutely love this recipe!!! I have a picky son and he loves it. A tip to others: Tastes so much better with freshly shredded sharp cheese! Thank you! Wow, this was amazing! Couldn’t stop eating. I’m definitely checking out the other recipes on your site to see what else I can make. Thanks for sharing!